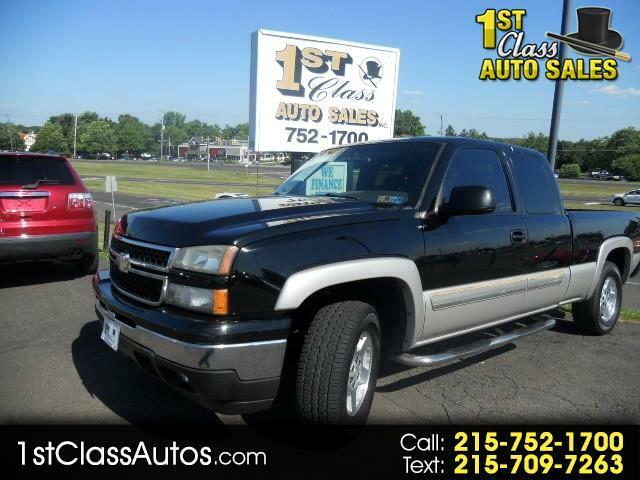 LOOK AT THIS BLACK BEAUTY . . . . A Z71 SUPER CAB 4X4 WITH DECENT MILES AND ALL THE EQUIPMENT . .
POWER WINDOWS / / / MAG WHEELS / / / CD PLAYER / / / TU-TONE PAINT / / / / BEDLINER / / / THIS TRUCK COMES WITH A FREE WARRANTY AND YES WE CAN SECURE FINANCING FOR QUALIFIED CLIENTS . . . EVERYBODY NEEDS A TRUCK AT HOME . . . START MAKING MONEY TODAY !! !